Paige Zois joined Kaylee and Zoe for Primary Perspectives debut 'Women in Sport Special' - as both guest and guest host! 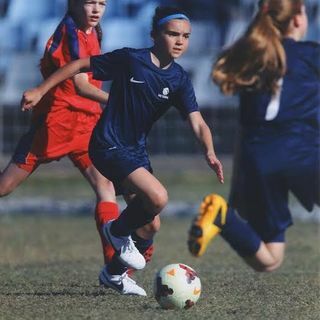 At just 13 Paige has a packed sports CV that reads like an adult in terms of achievements, such as being picked to attend the Manchester City #Football Club Academy in the UK for a 1 week training camp as part of the U12 Northcote City FC boys team, where you were the only girl! AND Zoe was the junior producer for this excellent special - well done Zoe :-) Check ... See More out this great interview to find out more.